Wishing all our customers old and new an absolutely fantastic Christmas wherever you are. 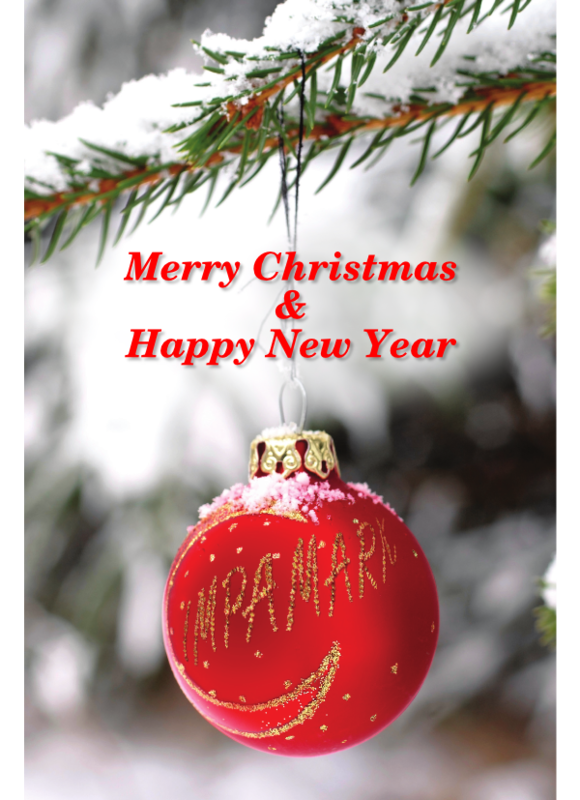 Here’s hoping for a prosperous and healthy New Year and look forward to doing business again in 2014!! 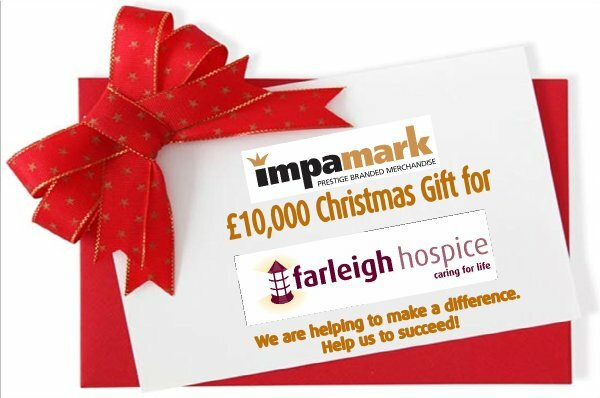 This Christmas, Impamark have been working with Farleigh Hospice’s “100 Christmas Challenge”. Their goal was to find 100 local businesses to raise £100 each to fund Farleigh on Christmas Day. The £10,000 which will be raised collectively will make such a difference to their Patients and their families, and will allow them to continue to care for the people of mid-Essex with life limiting illnesses. We wish Farleigh and all their staff and patients all the very best over the festive period. This entry was posted in General on December 17, 2013 by nicky. 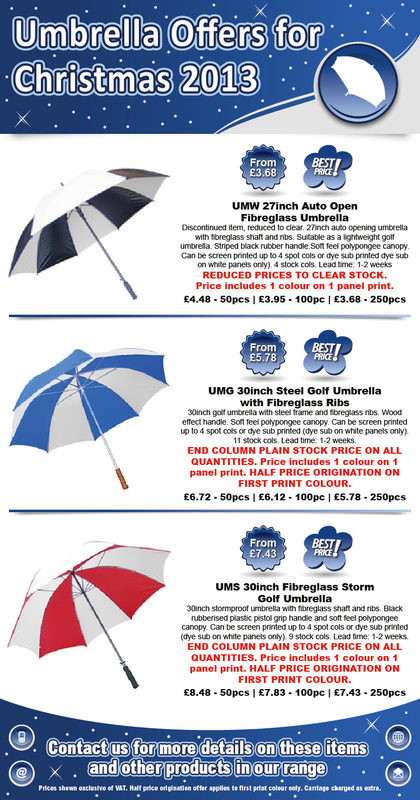 Amazing Umbrella Discounts – Going down a Storm! This entry was posted in General and tagged Personalised Umbrellas, Printed umbrellas on December 5, 2013 by nicky.